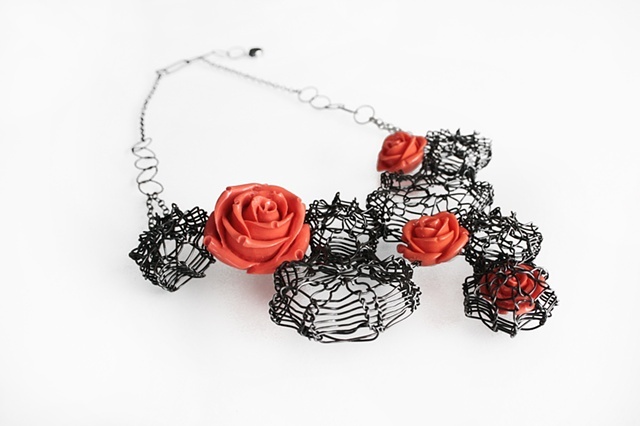 This striking necklace is made of coral-colored resin roses interlaced within steel Medusa forms, linked on an oxidized sterling silver chain. The chain boasts a delicate hematite clasp and is adjustable. chain adjusts 16 1/2" -18 1/2", center area is 5 1/4" x 4 1/4"